Updated at 5:25 p.m. Eastern. WASHINGTON — SpaceX no longer plans to have the next version of its Dragon spacecraft be capable of powered landings, a move that has implications for the company’s long-term Mars plans. SpaceX planned to transition from splashdowns, which is how the current cargo version of the Dragon returns to Earth, to “propulsive” landings at a pad at some point after the vehicle’s introduction. Certification issues, he said, for propulsive landings led him to cancel those plans. “It would have taken a tremendous amount of effort to qualify that for safety, particularly for crew transport,” he said. Another reason for the change, he said, is that SpaceX had reconsidered what is the best way to land large spacecraft on the surface of Mars in support of the company’s long-term goals to establish a human presence there. 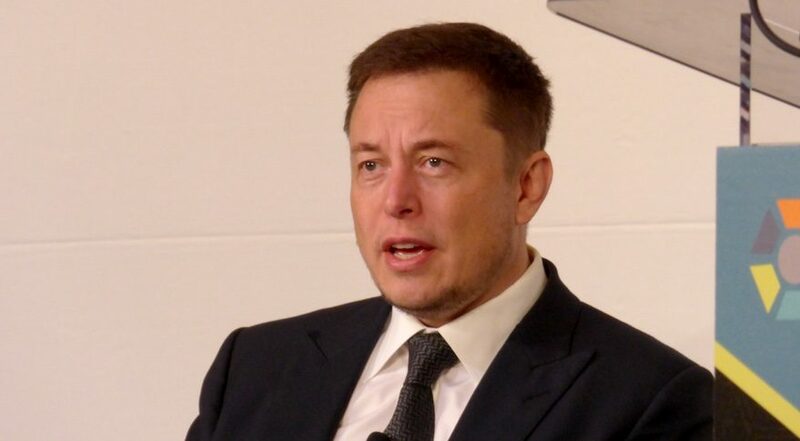 He didn’t describe that alternative approach, but said that “the next generation of SpaceX rockets and spacecraft” will use that different landing technique. In a later tweet, though, Musk clarified that the alternative approach will also use a version of propulsive landing. “It doesn’t seem like the right way of applying resources right now,” he said of the original propulsive landing technique. Abandoning that propulsion landing technique would also appear to put into jeopardy SpaceX’s planned Red Dragon spacecraft, which would have landed a Dragon 2 spacecraft on the Martian surface. 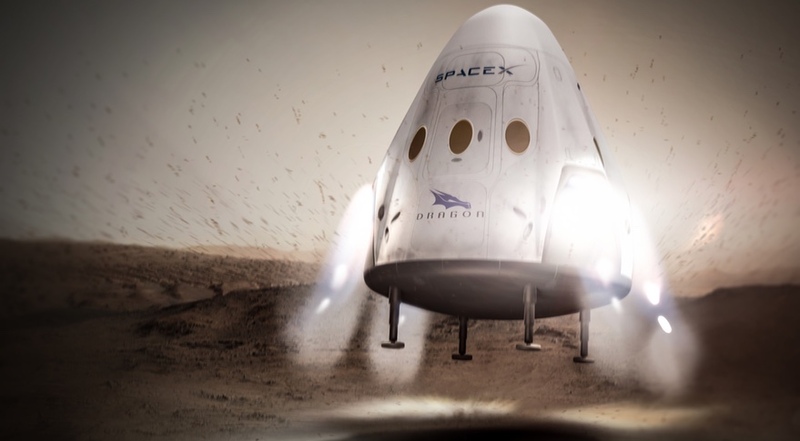 SpaceX announced plans for Red Dragon last year for launch in 2018, but SpaceX President Gwynne Shotwell said in February that the launch had slipped to 2020 as the company focused on its commercial crew program and a return to flight of the Falcon 9 after a September 2016 pad explosion. More recently, there were rumors that SpaceX had either further delayed that first Red Dragon mission or cancelled it entirely. Musk did not directly address the status of Red Dragon in his talk, but the lack of propulsion landing systems, particularly legs, would appear to rule out such missions. Musk also confirmed in the interview that SpaceX is developing a revised version of the overall Mars exploration architecture that he unveiled at the International Astronautical Congress (IAC) in Guadalajara, Mexico, in September 2016. That plan involved the development of giant reusable launch vehicles, called the Interplanetary Transport System, for sending spacecraft to the surface of Mars or elsewhere in the solar system. “I think this one’s got a shot of being real on the economic front,” he said. That update, he said, may be presented at this year’s IAC in September in Adelaide, Australia. In the near term, though, Musk said SpaceX is primarily focused on completing development of the crewed version of the Dragon spacecraft. “Overall I think it’s going really well,” he said, with plans in place to start test flights of the vehicle around the middle of 2018. “Overall, I’m confident that it’s going to be a system that NASA feels good about and SpaceX feels good about,” he said. Also coming up is the first flight of the long-delayed Falcon Heavy rocket, now planned for late this year. Musk repeated earlier comments that development of the rocket, years behind schedule, was much more difficult than originally anticipated. Musk also appeared to lower expectations about the success of that first launch. He said that liftoff requires the simultaneous ignition of 27 engines: nine engines in each of the three booster cores. “There’s a lot that could go wrong there,” he said, also citing the dynamical environment of the Falcon Heavy in flight that is difficult to test on the ground.